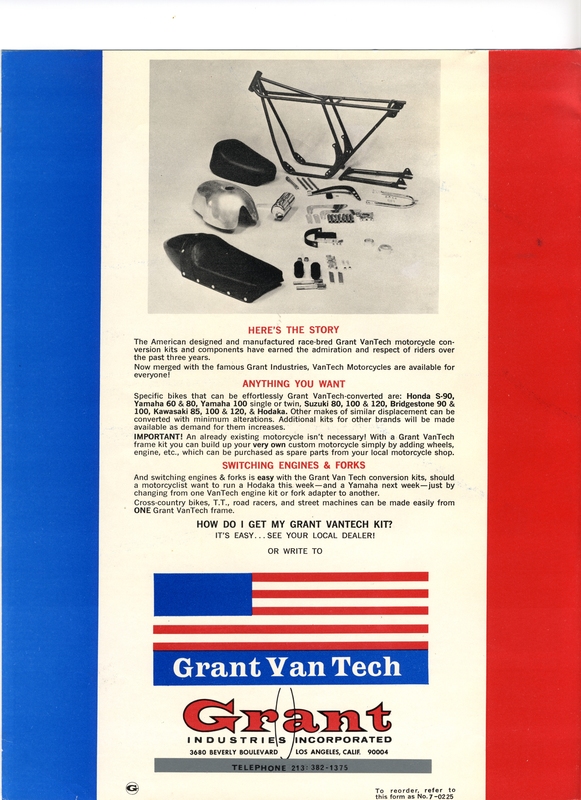 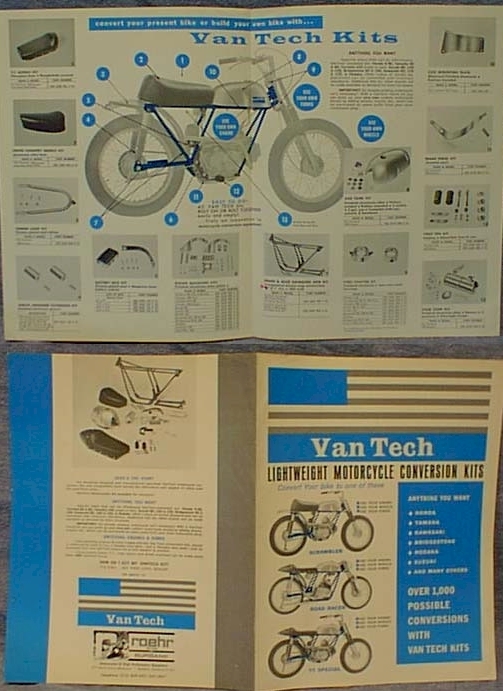 Here are some VanTech Brochures. 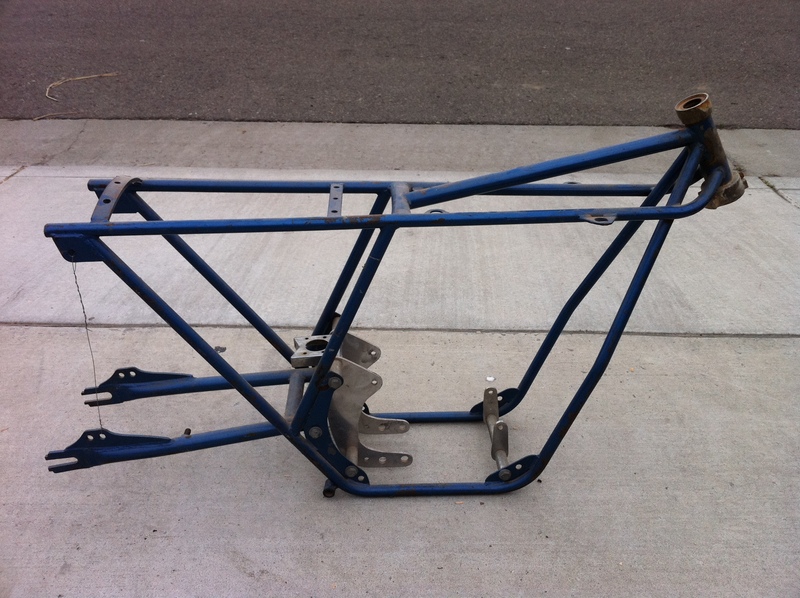 Here is my VanTech frame. 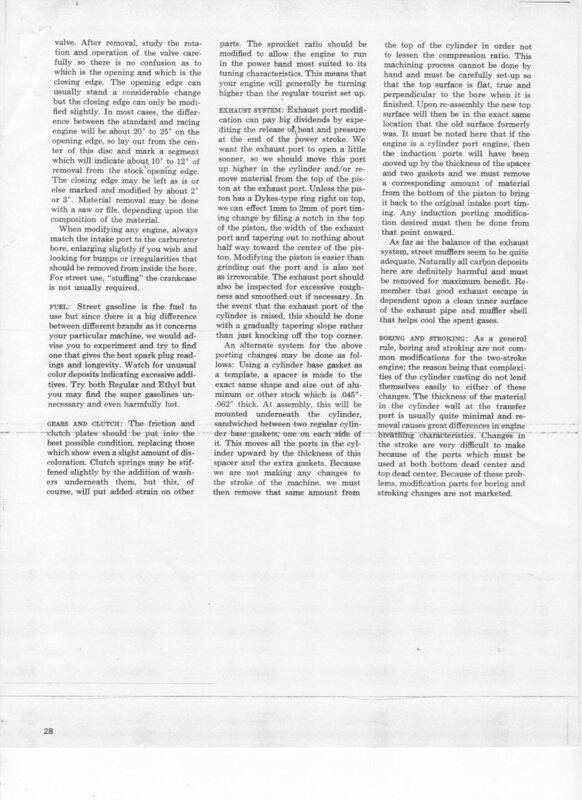 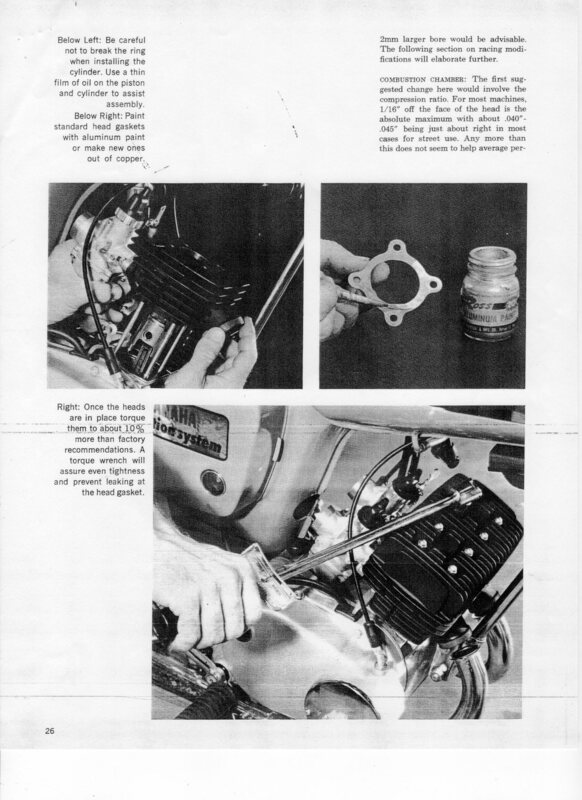 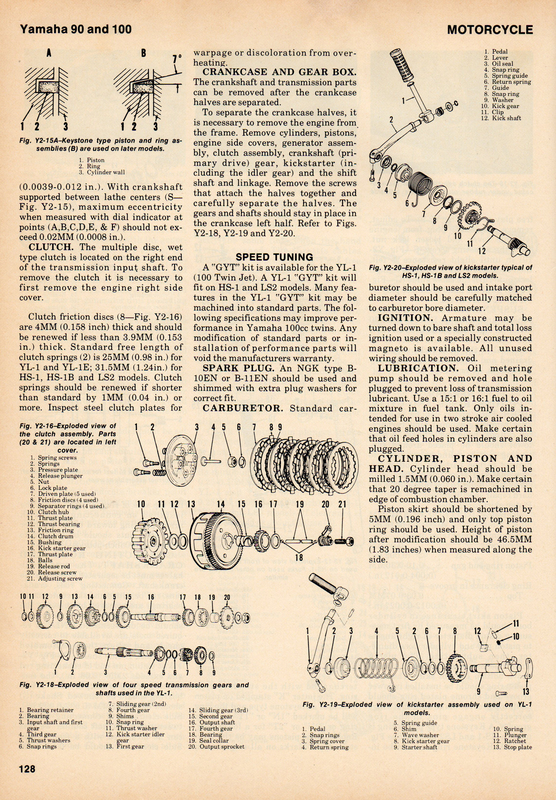 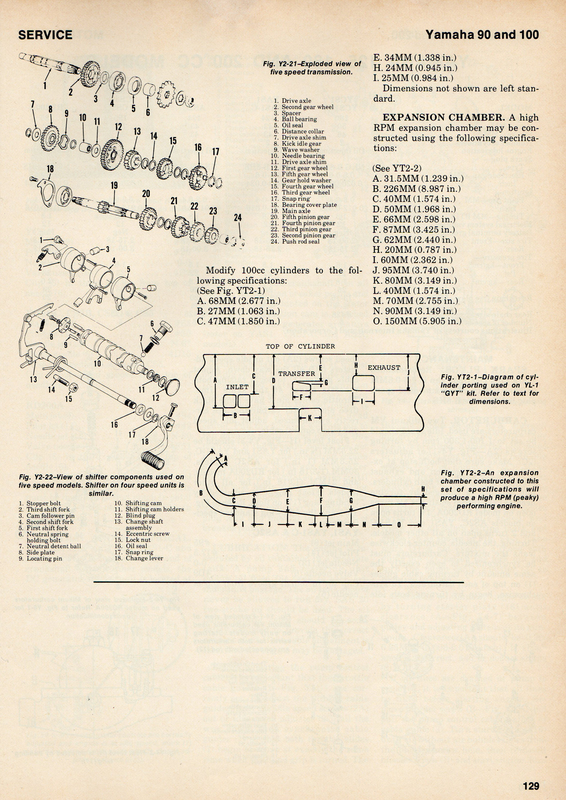 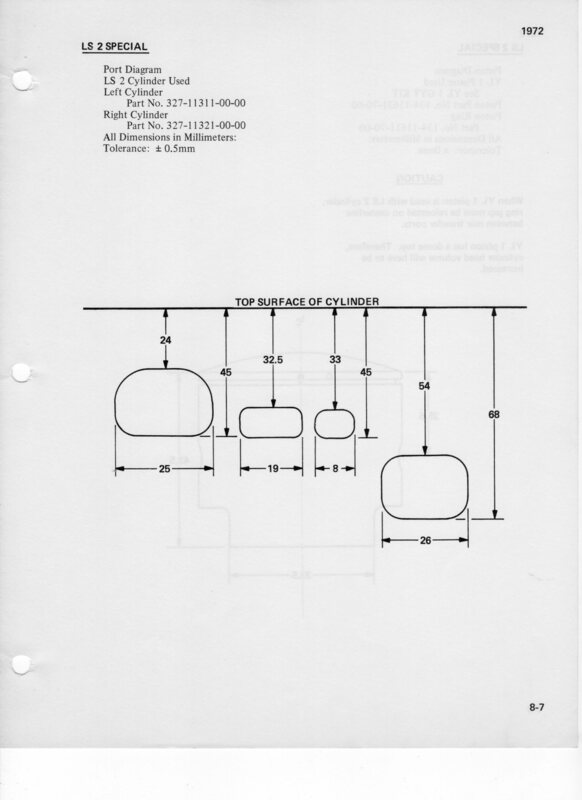 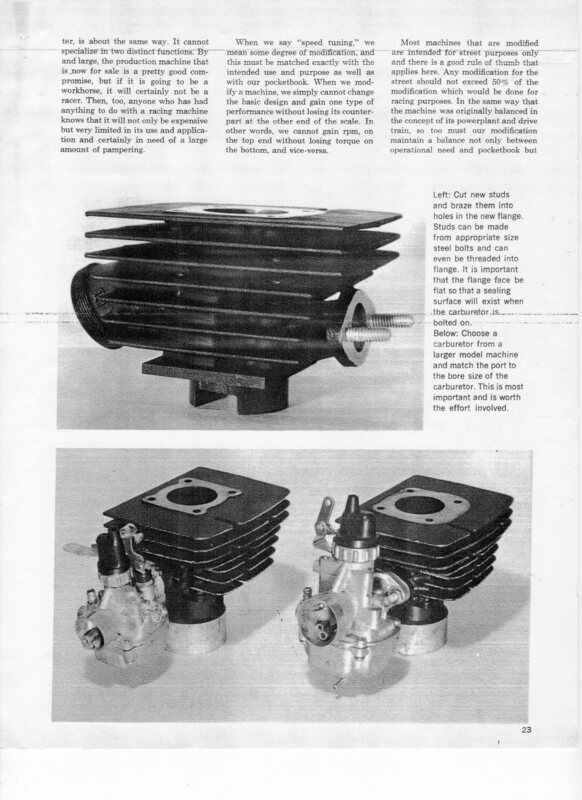 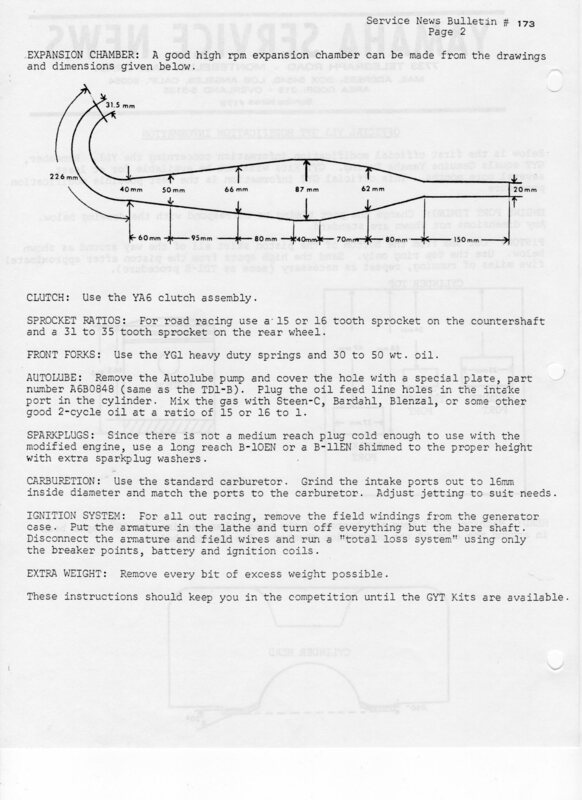 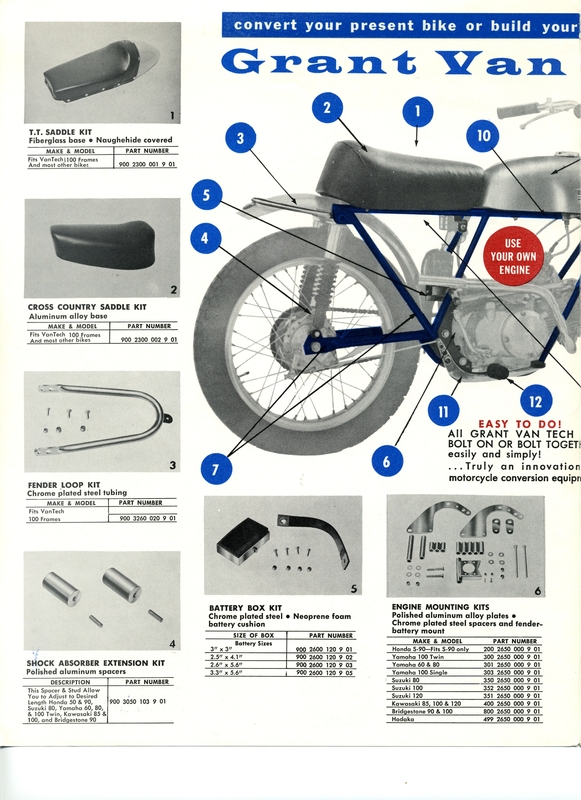 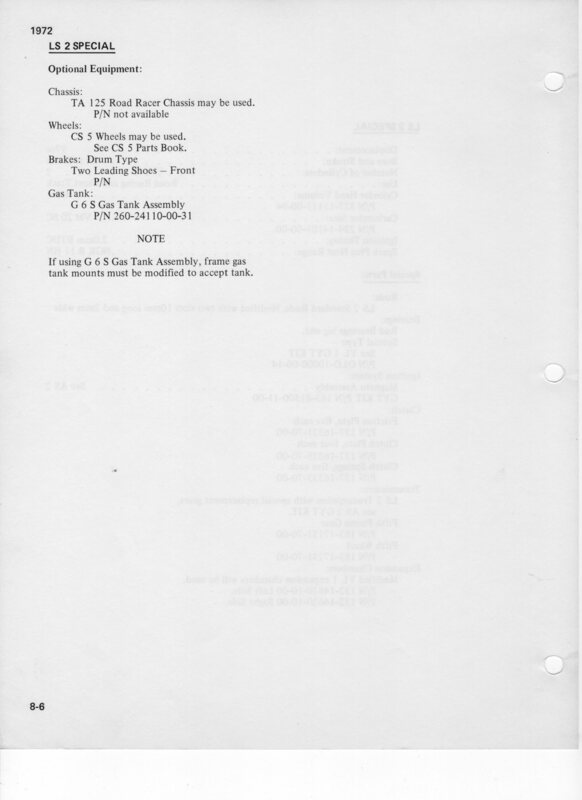 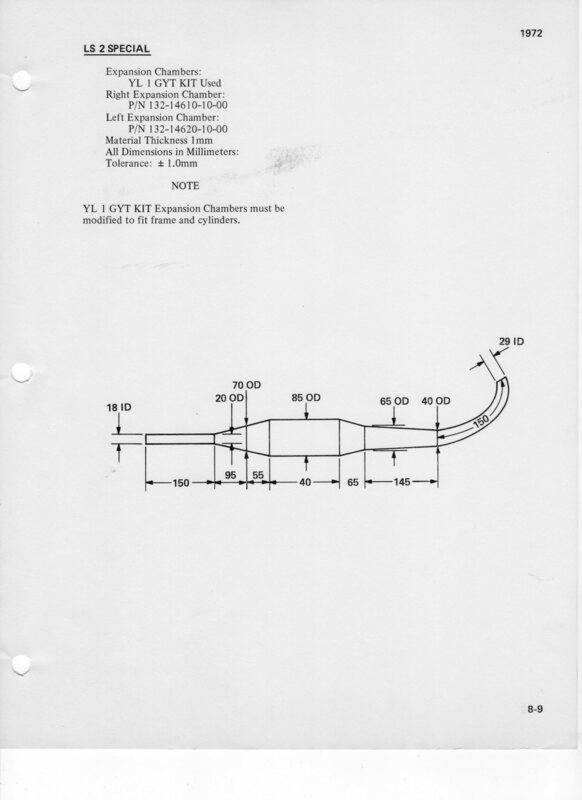 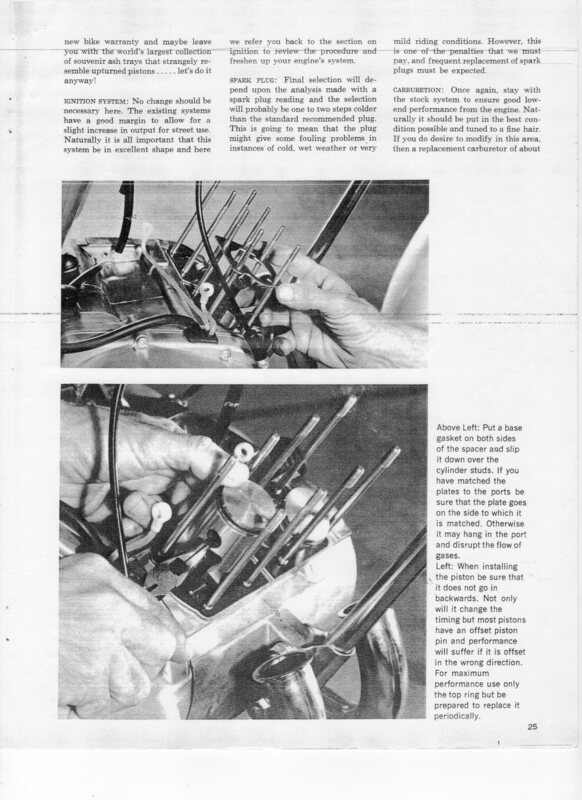 Yamaha YL1 race specs from "Motorcycle Service Manual Vol. 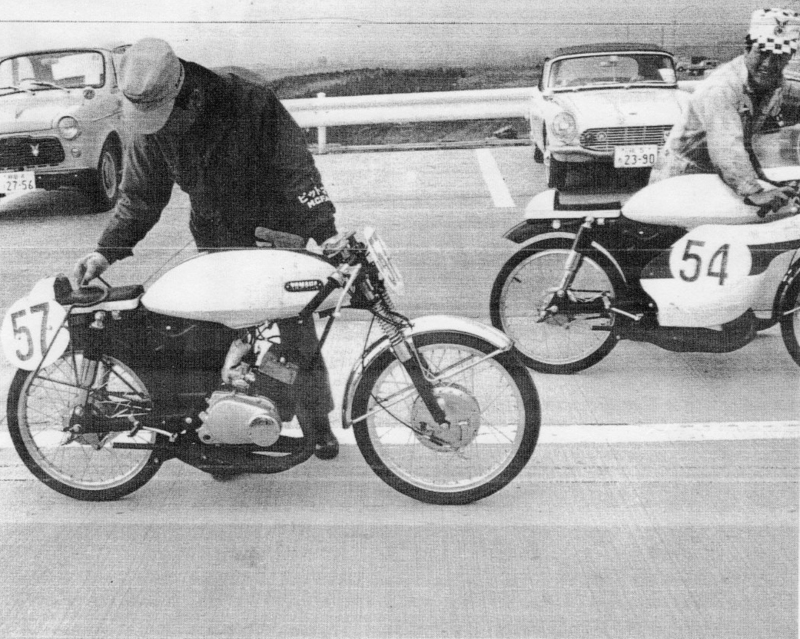 2"
Yamaha YL1 Street Mods from the book "THREE T's FOR THE TWO-STROKE"
A photo from the back of that same book showing what looks like a factory YL1 road racer? 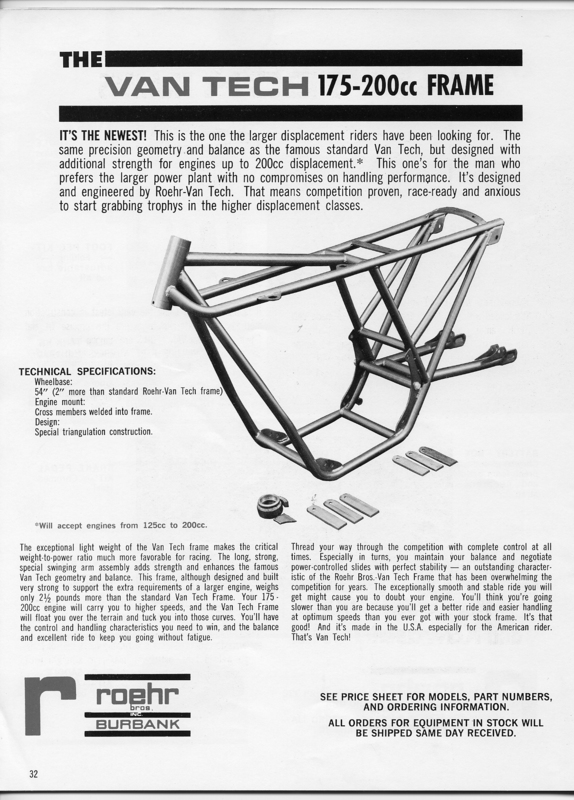 Race Specs for the Yamaha LS2 100cc twin. 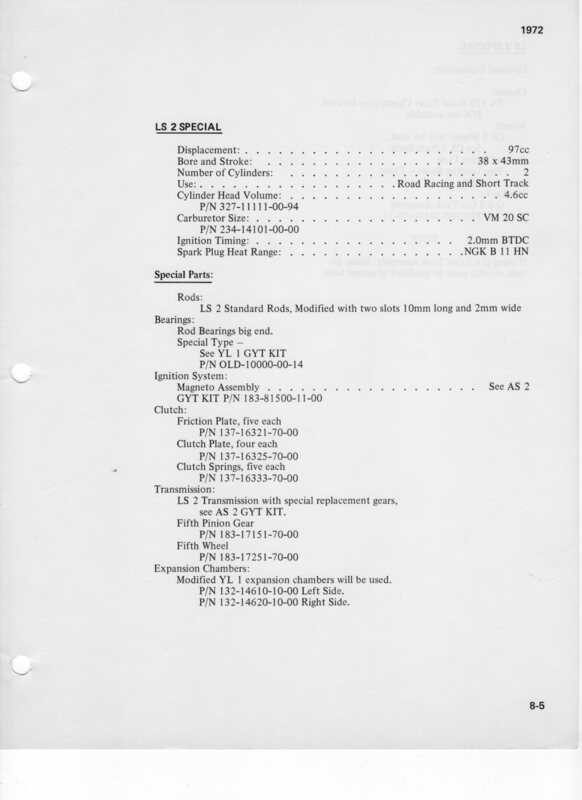 From a binder I have of all the Yamaha race specs called "YAMAHA RACING TIPS"
The LS2 came after the YL1 and was a modernized Twin Jet. 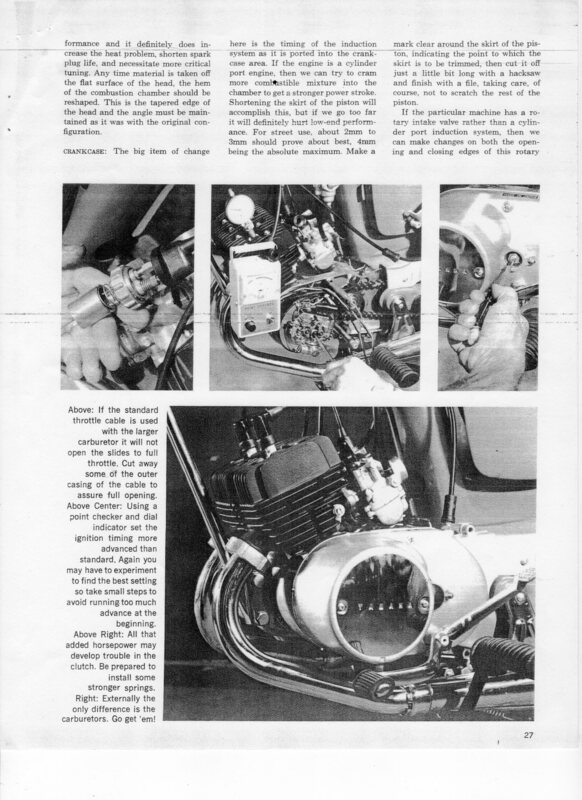 The LS2 gained a 5 speed transmission and a tach drive. 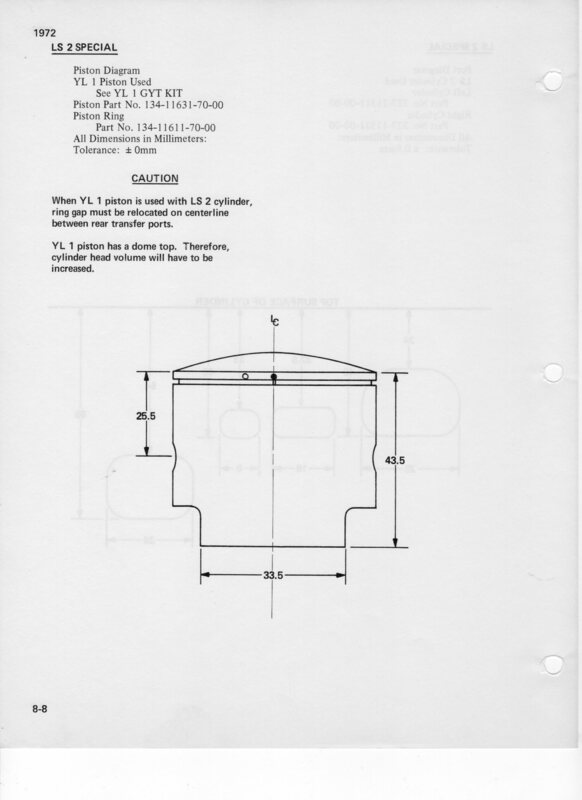 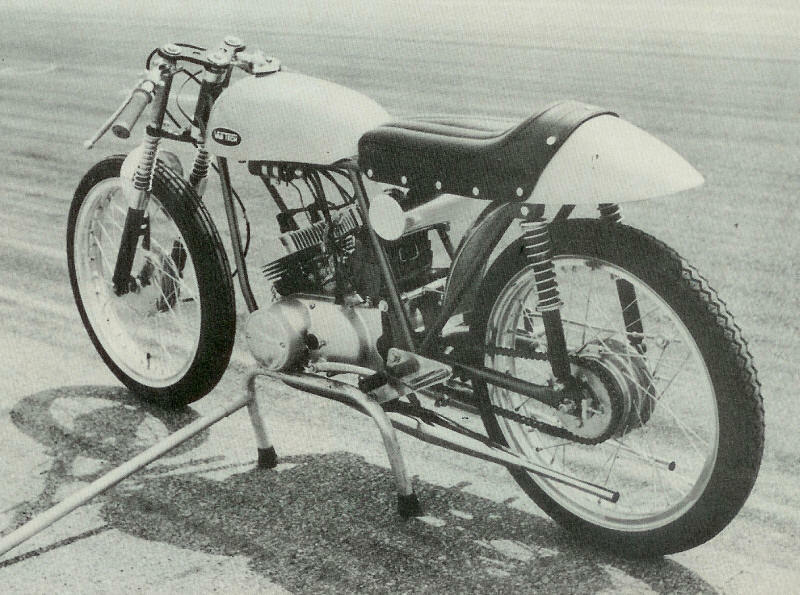 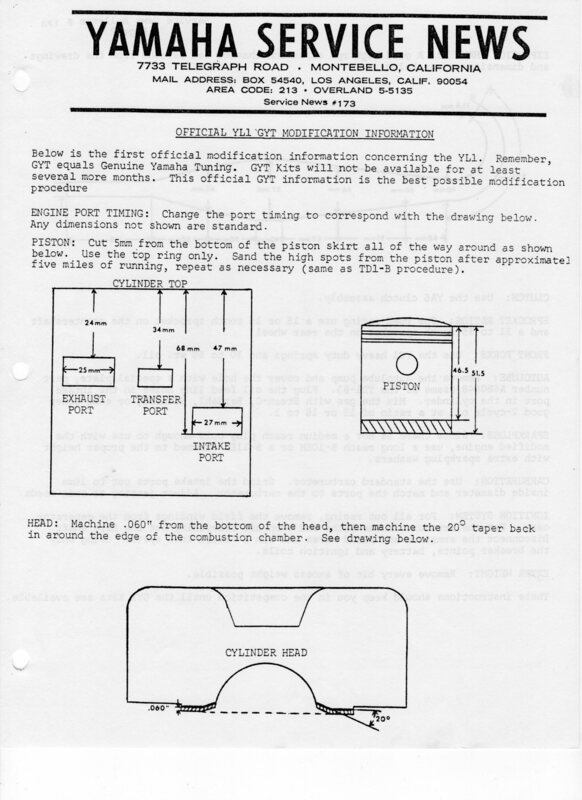 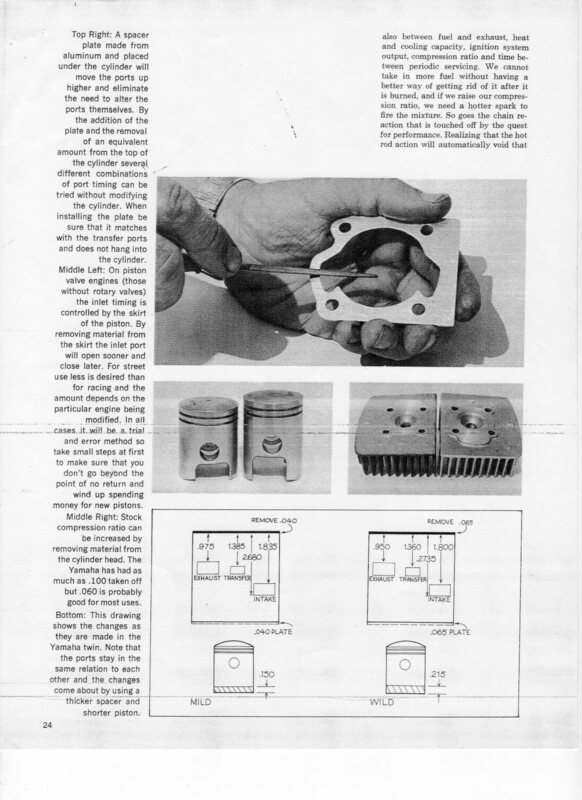 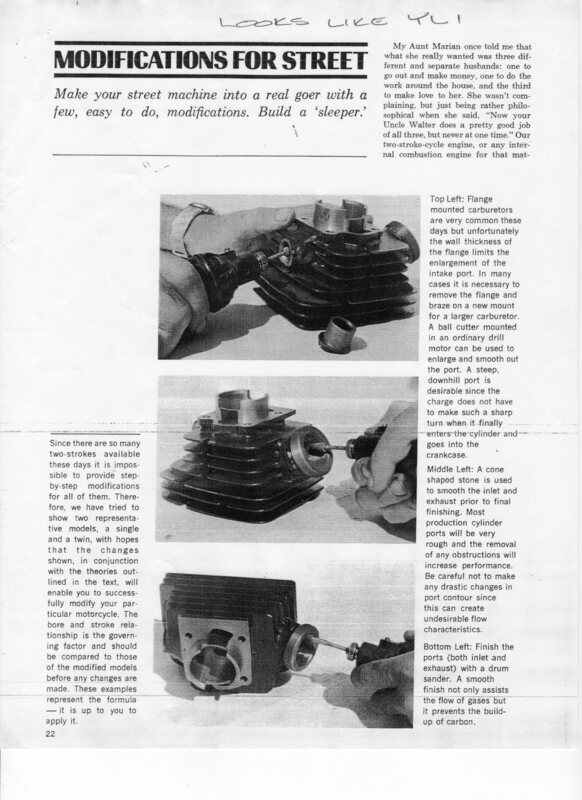 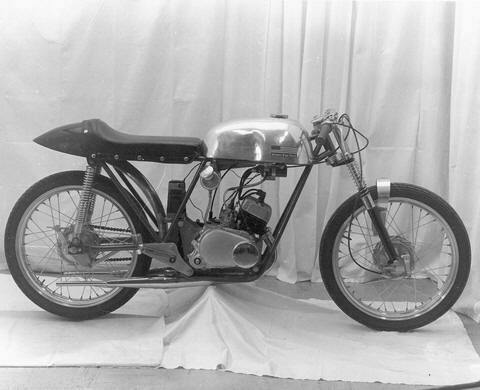 An interesting note, the book I have from Yamaha states that the TA125 started as an LS2 bottom end. 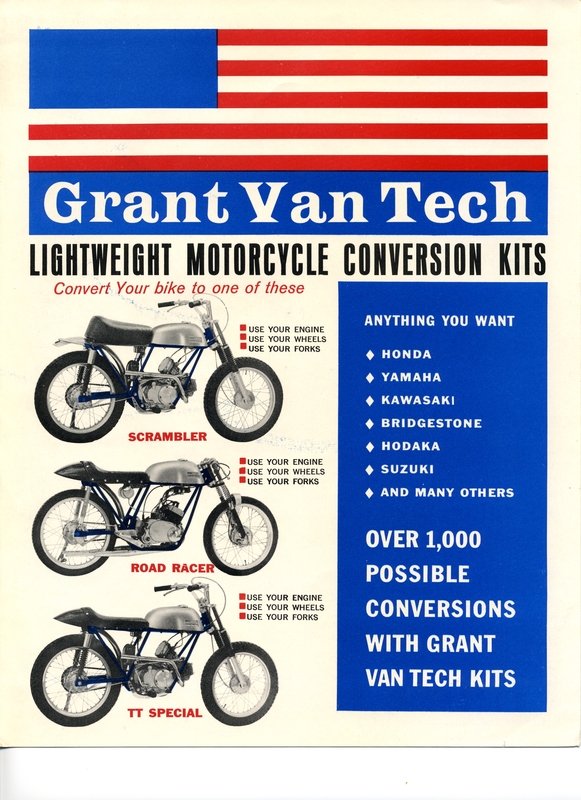 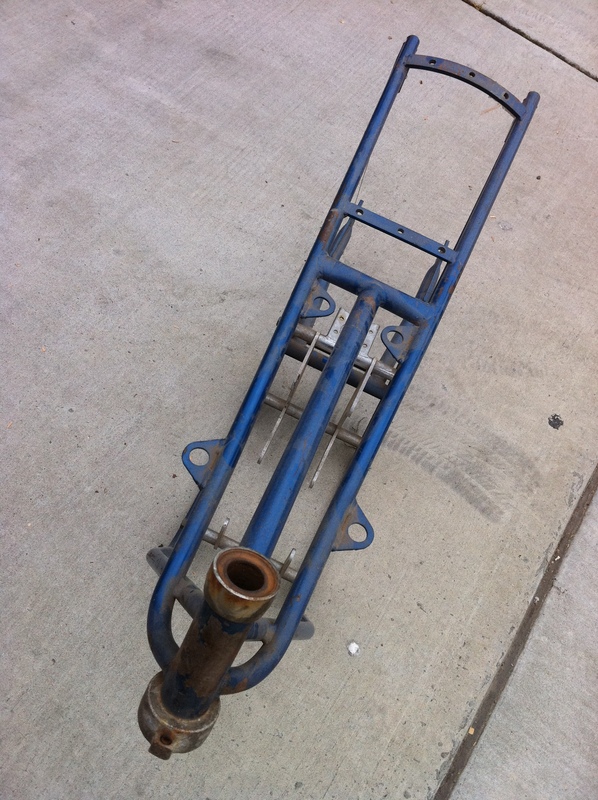 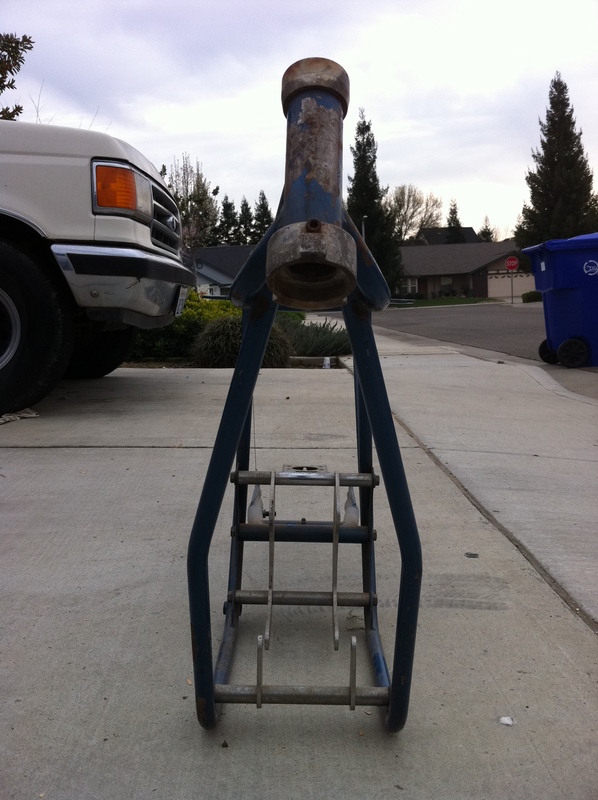 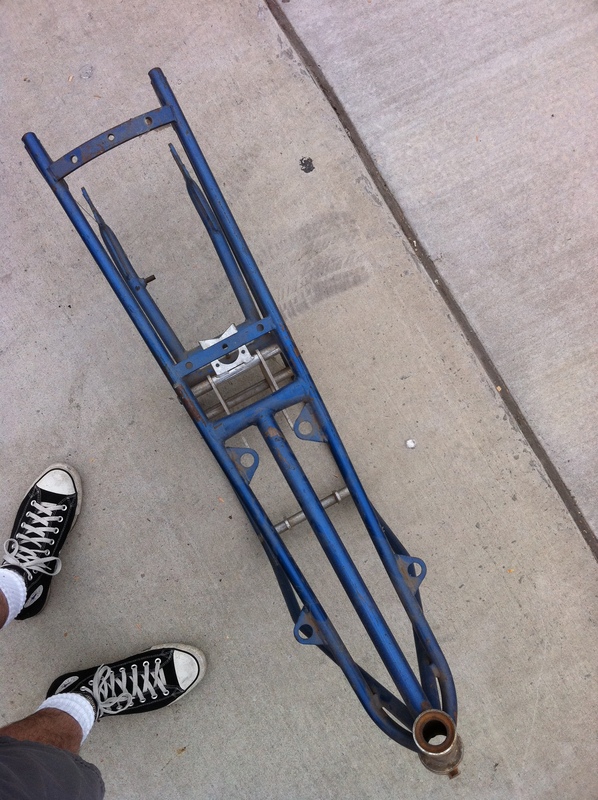 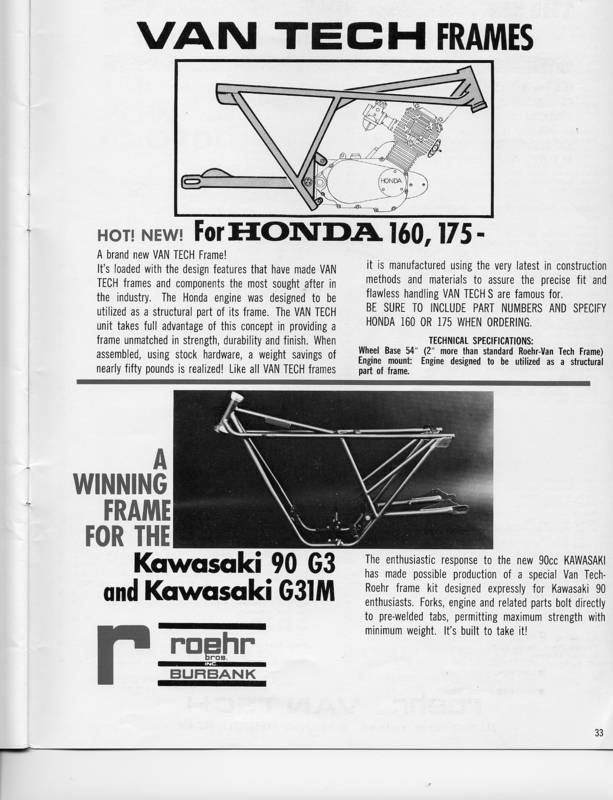 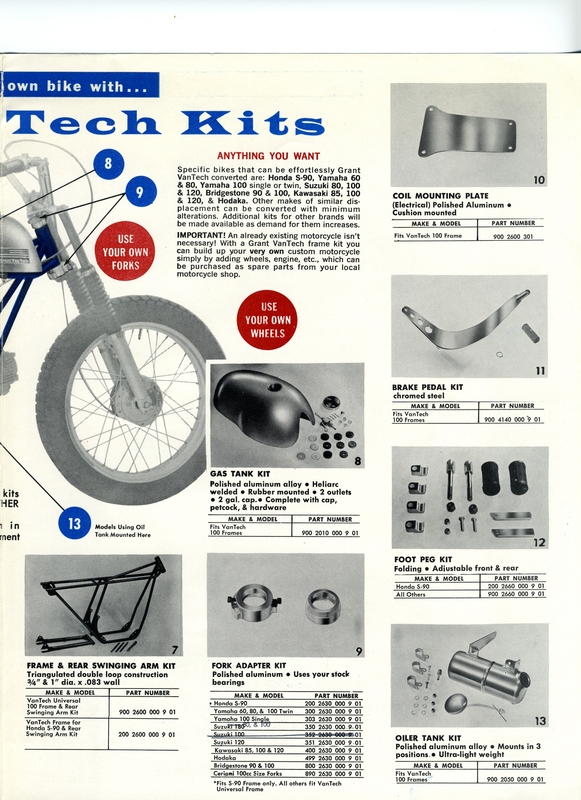 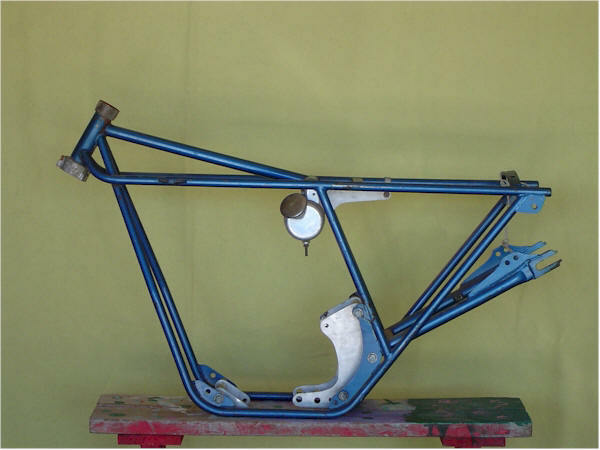 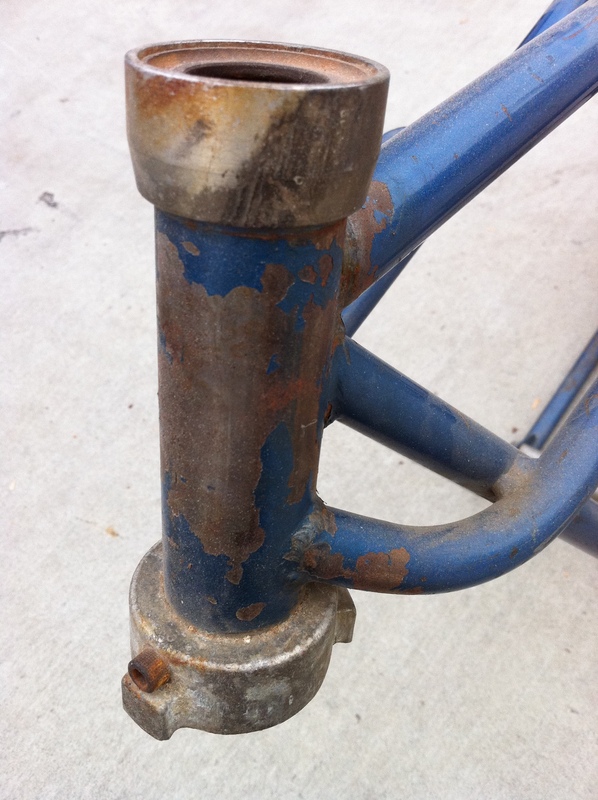 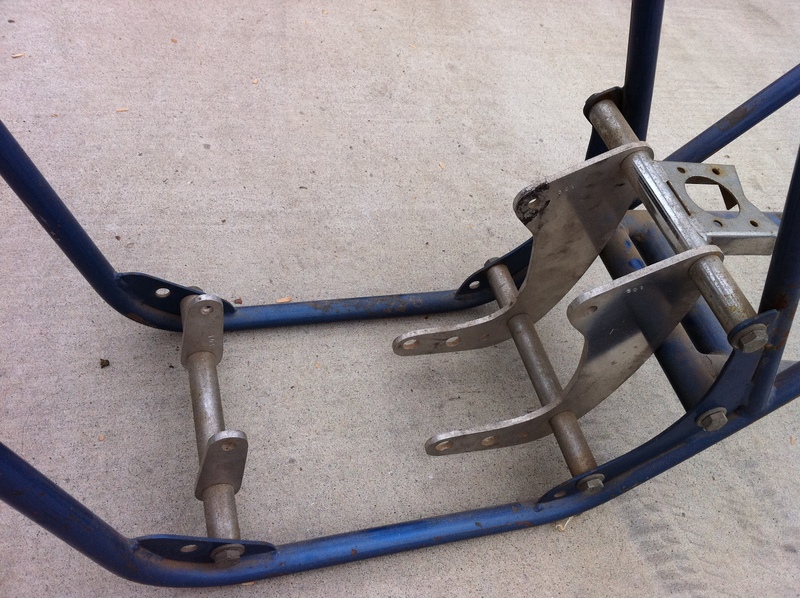 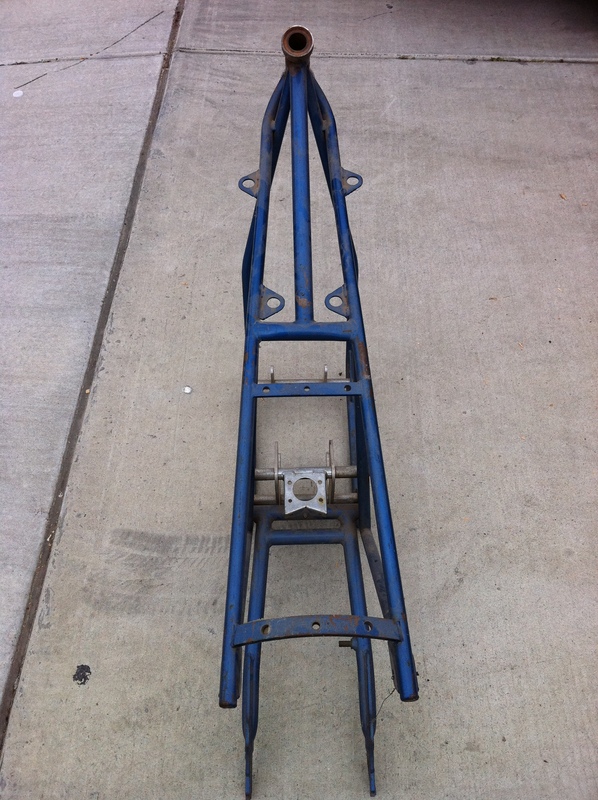 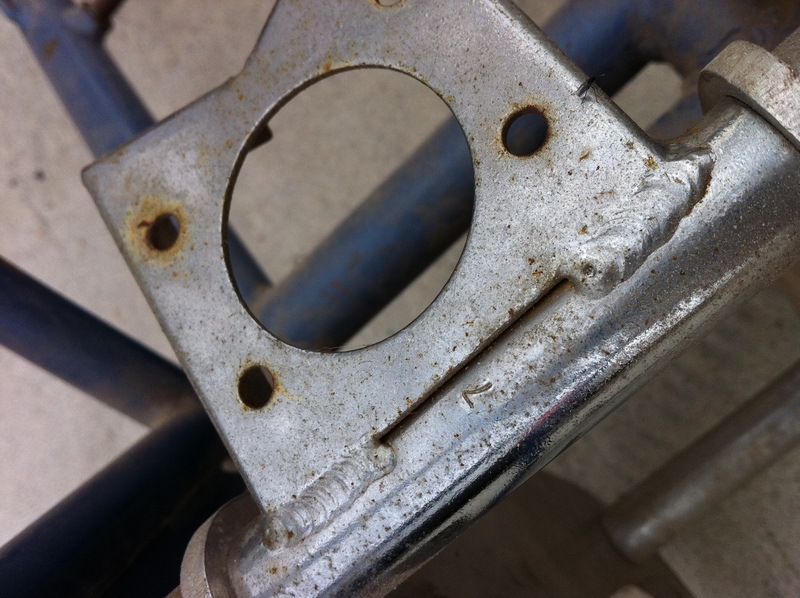 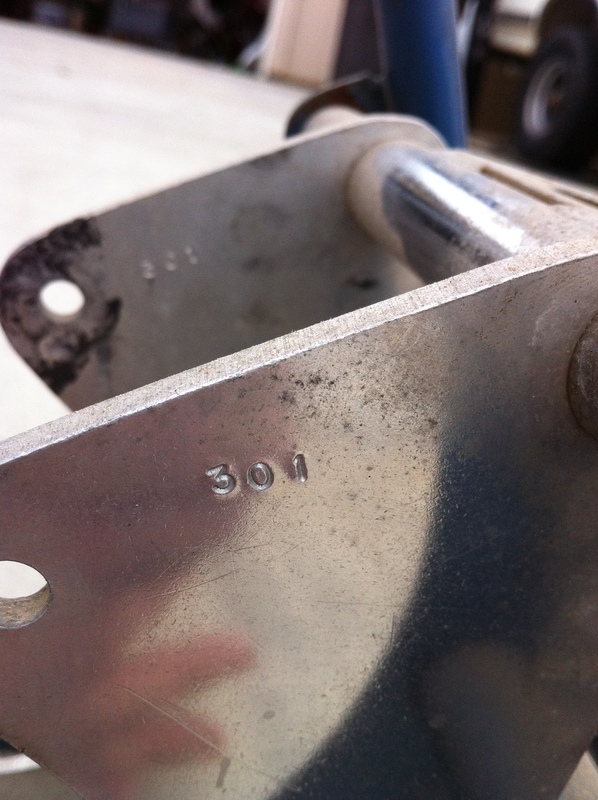 I am always looking for Yamaha YL1 GYT parts as well as VanTech frames or components. 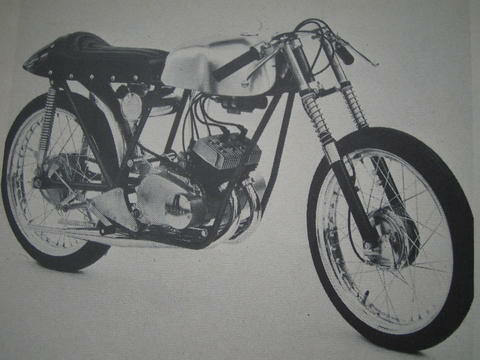 I am also interested in any information, Literature or photos. 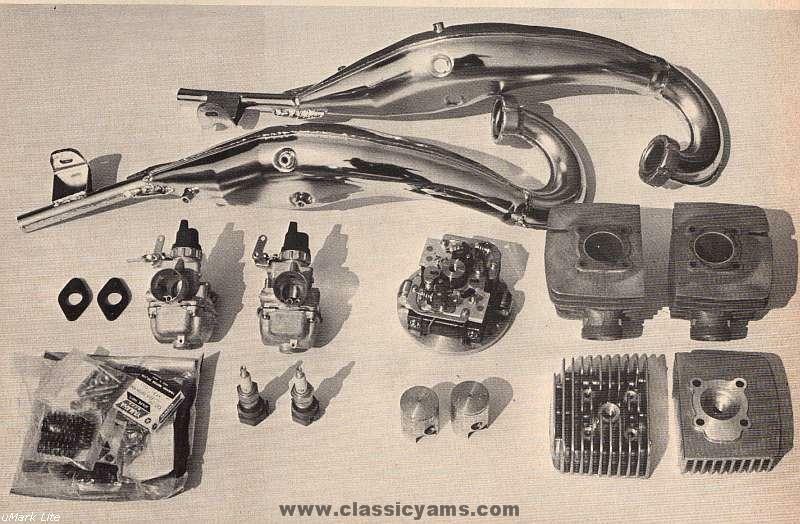 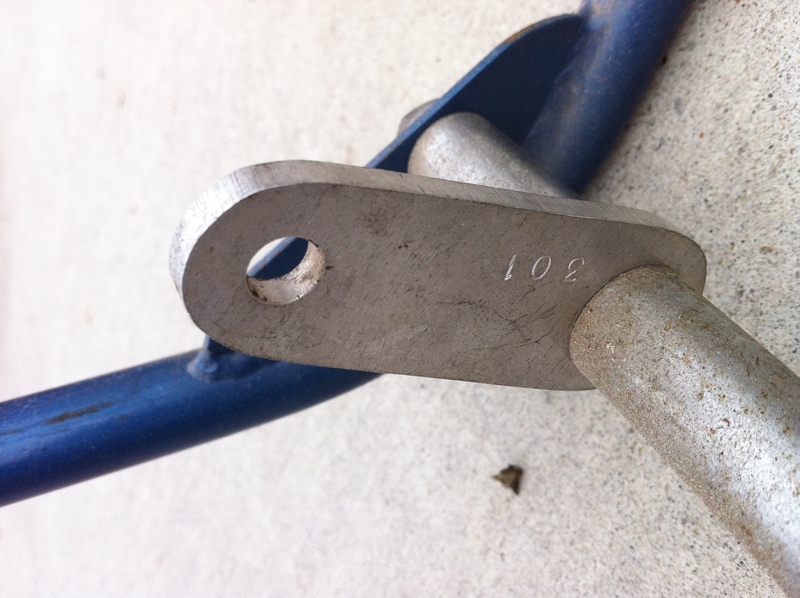 If you know anyone who has these parts and is willing to sell them, please contact me.